Each public library system was asked to submit the name of one child (K-12) who has shown great enthusiasm in the summer reading program, participation in summer reading events and who deserves to be recognized for their summer reading achievements. ﻿﻿﻿﻿Each of the 14 branch libraries, our two link sites and outreach program in the East Central Regional Library system participated. The names of the children nominated from each branch were submitted and a winner drawn from the nominations. 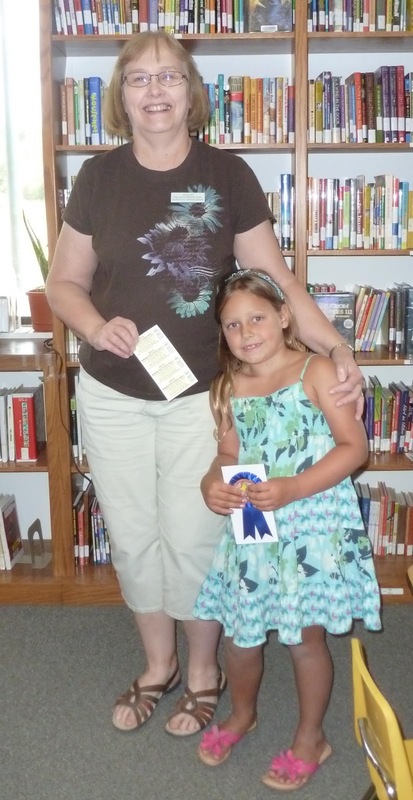 Faith Ann Larson representing our East Central Regional Library’s Mille Lacs Lake Community Branch Library was named the Blue Ribbon Reader for the ECRL region. 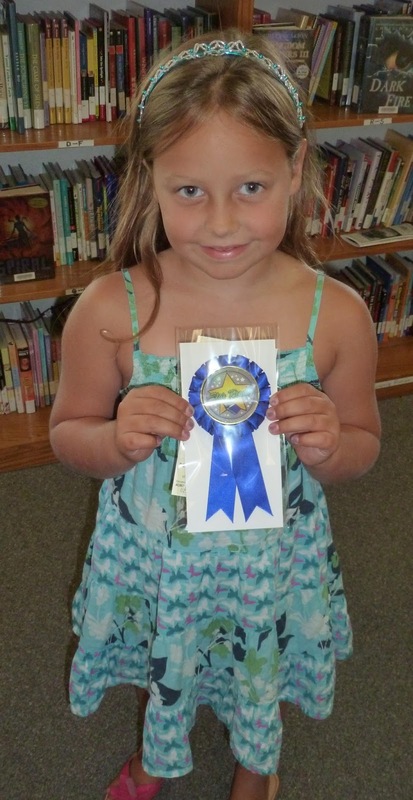 Faith is 7 years old, lives in Wahkon and is the daughter of Aaron and Alecia Larson.. She received a four pack of MN State Fair tickets plus her very own “Star Reader” blue ribbon!